Munich - As always, once their players had walked the walk on the field, it was time for those in charge of the Bundesliga's finest outfits to talk the talk off the field. 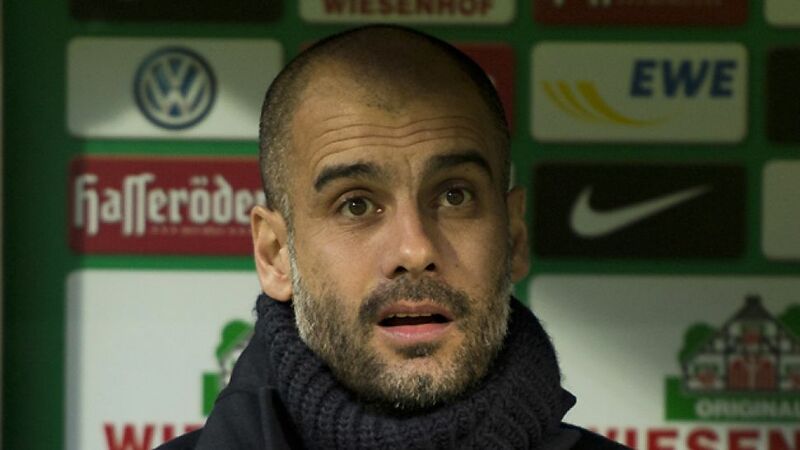 Pep Guardiola (FC Bayern): I've got to thank my players, they put in a really, really outstanding performance. Today, it was an honour to be their coach. We all know, however, that Bremen can play better than that. Robin Dutt (Bremen): Well, the loss has obviously shocked us, but we won't let it throw us off course. It's really important now to focus on our next encounter. Jürgen Klopp (Dortmund): If you want to beat Leverkusen then you've really got to be on top of your game - which we weren't today. We started well, closed off the space and defended high, but they forced us into too many long balls and we became too passive. In the second half, we were much more passionate, but our performance wasn't as good as it could have been. Sami Hyypiä (Leverkusen): We showed what we can do in the first half, and then after the break we battled superbly, and that won us the game. The victory was even more important because beforehand Dortmund were only three points behind us. Torsten Lieberknecht (Braunschweig): It's currently tough for us and the fans, but this is how life goes in the top division. We'll keep our optimism, although the defeat certainly hurts. In terms of their willingness and passion, I can hardly fault the side, we just could have reacted a bit quicker at certain points. If you look at the table, the difference is only three points - certainly not insurmountable. Jos Luhukay (Hertha): I'm very happy that we won today. It was an exciting 90 minutes of football, but what was key was that we scored the first goal. Even after the goal, Braunschweig were in the game and could have equalised, but we won and have now hit the 20-point mark. We're looking forward now to the visit of Bremen on Friday where we'll try and pick up three more points. Christian Streich (Freiburg): When you go behind so early against a team as strong as Wolfsburg then you're always up against it. We fought back well, but unfortunately didn't take our chances. Dieter Hecking (Wolfsburg): That was a very good performance from my team. The players were hungry from the word go and we made the most of our opportunity to go to fifth. With our pressing we forced the first early goal, but with chances at both ends you could see that the game wasn't over. Freiburg are a fighting side and we're very pleased to have come away with all three points. Lucien Favre (Gladbach): Having gone 1-0 down, we managed to turn the game around. Raffael's goal was fantastic and Max Kruse converted his penalty with such ease. Against ten men in the second half it was more complicated and we missed some good chances to make it 3-1, which meant it stayed close even going into the final few minutes. Jens Keller (Schalke): In the first half, we implemented what we'd planned in advance: to stay deep, run hard and always look to attack off the second ball. Going 1-0 up was a boost, and although we then conceded twice, what my side showed after the break was outstanding. Against one of the best sides in the league on their own turf we never gave up searching for the equaliser. Gertjan Verbeek (Nürnberg): Disappointing. We played well today, and with a bit more luck we'd have found the second goal. We've just got to keep believing in ourselves. Thomas Tuchel (Mainz): Today seemed to last forever, and we had some problems with the speed at which we tried to execute our plans. On the plus side, we were much better after half time, and I'll take the point. It was a good reaction.